Start by doodling the motif several times until you can do so without looking at the tutorial. 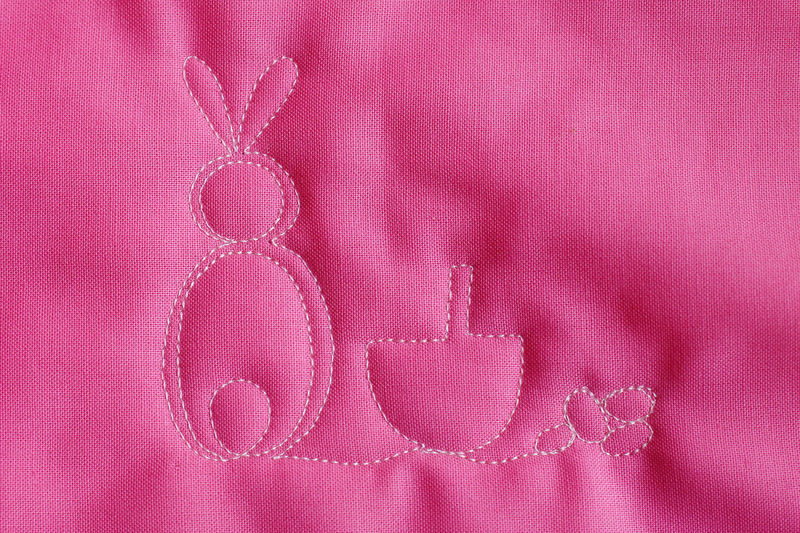 Then doodle the bunny for a few more minutes to develop muscle memory. 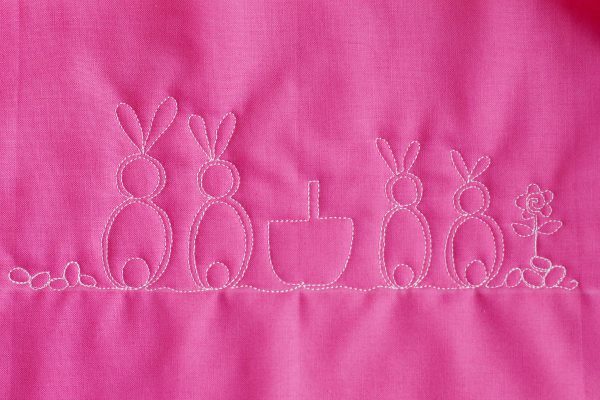 Now you are ready to stitch the bunny with smooth stitching lines for an adorable border on any quilt, table runner or tea towel. 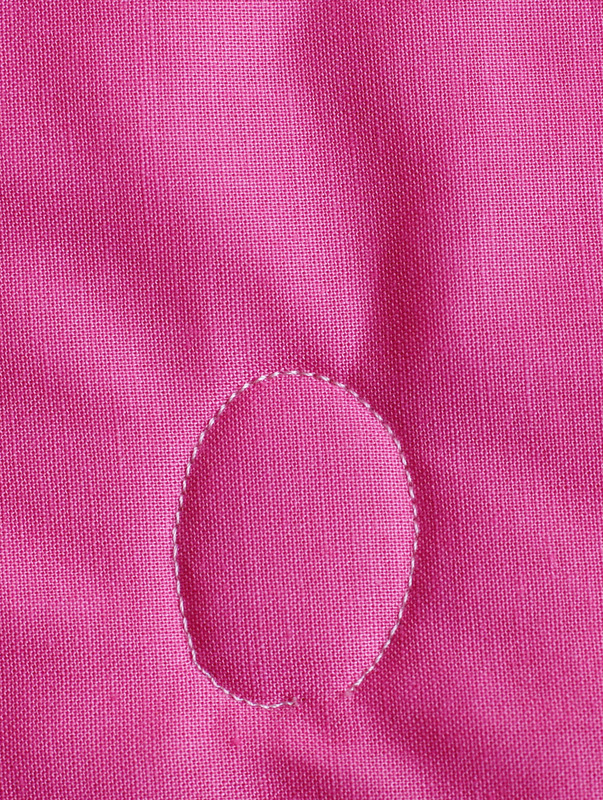 Stitch a small circle to create the bunny’s tail inside of the oval. 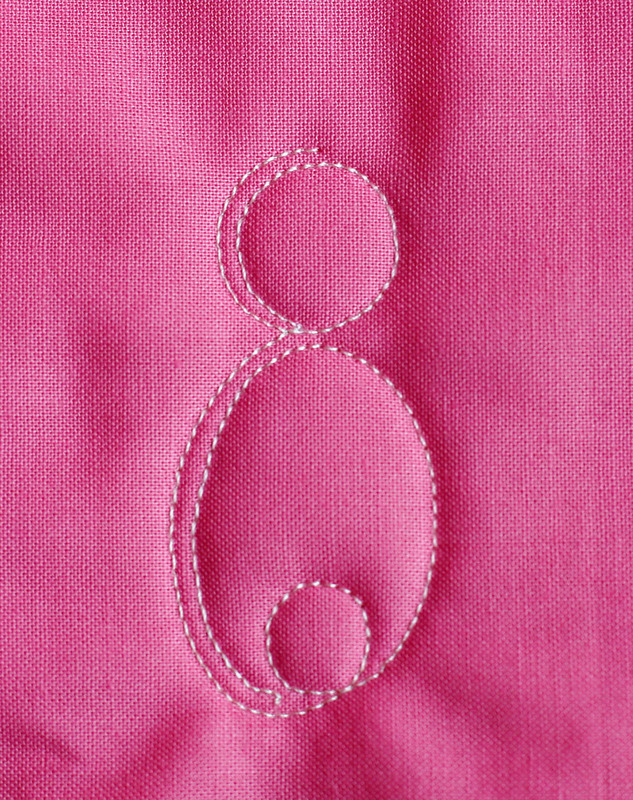 Echo stitch the left side of the oval, stopping on the top of the oval. 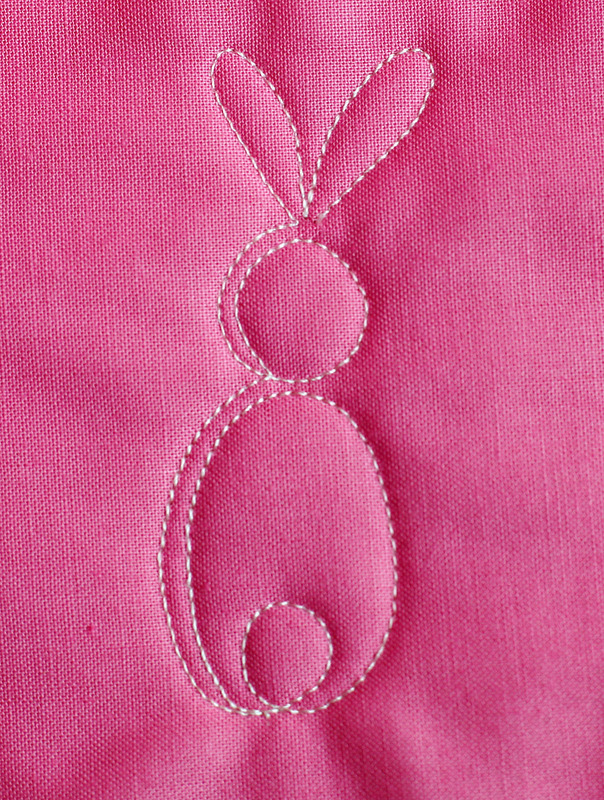 Stitching clockwise, add a small round circle. Echo stitch the left side of the small circle, stopping on the top. 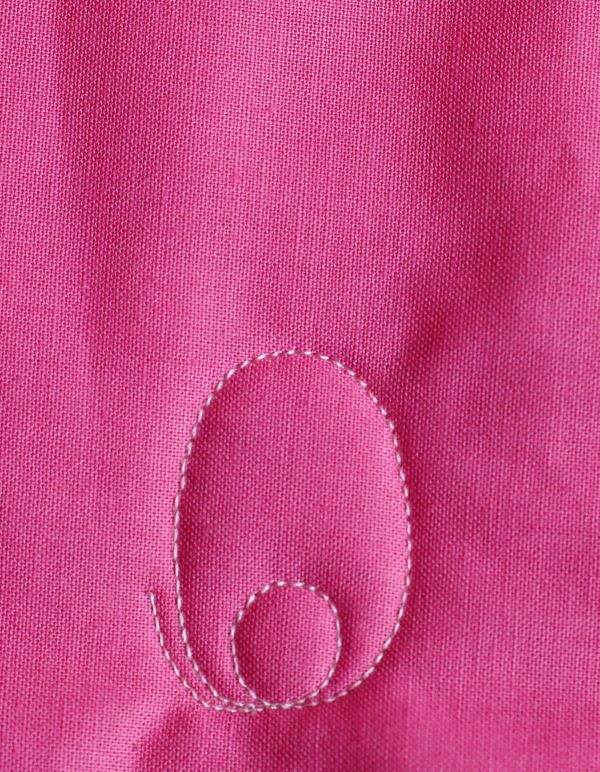 Add two small loops for the Bunny’s ears. To complete the bunny, echo stitch the circle and the oval and continue along the bottom line to create the next bunny or add other elements like a simple basket and eggs or a row of your favorite spring flowers! Whenever you are machine quilting, regardless of thread choice, you will probably need to adjust your tension to create the best looking stitch. 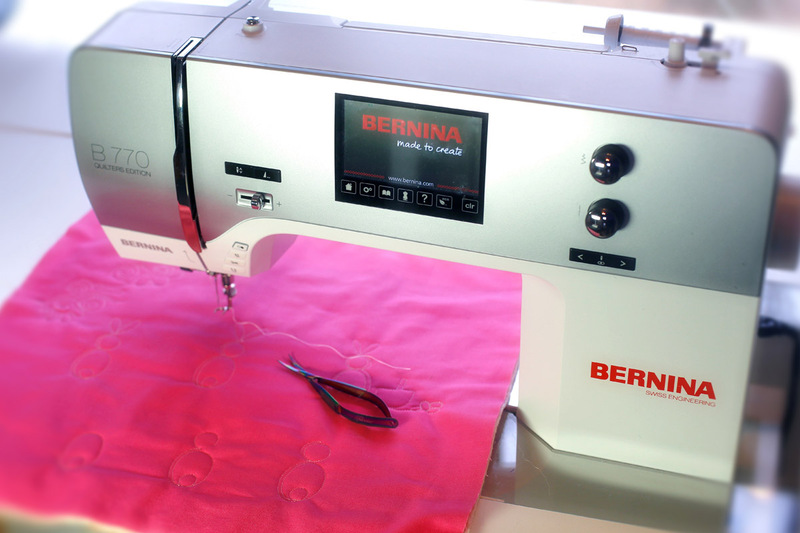 Always adjust the top tension first, and only adjust the bobbin tension if you cannot achieve a balanced stitch with top tension adjustments alone. For more step-by-step tutorials, be sure to join me at www.theinboxjaunt.com and check out my new book, Free Motion Machine Quilting 1-2-3 (Martingale, 2017). 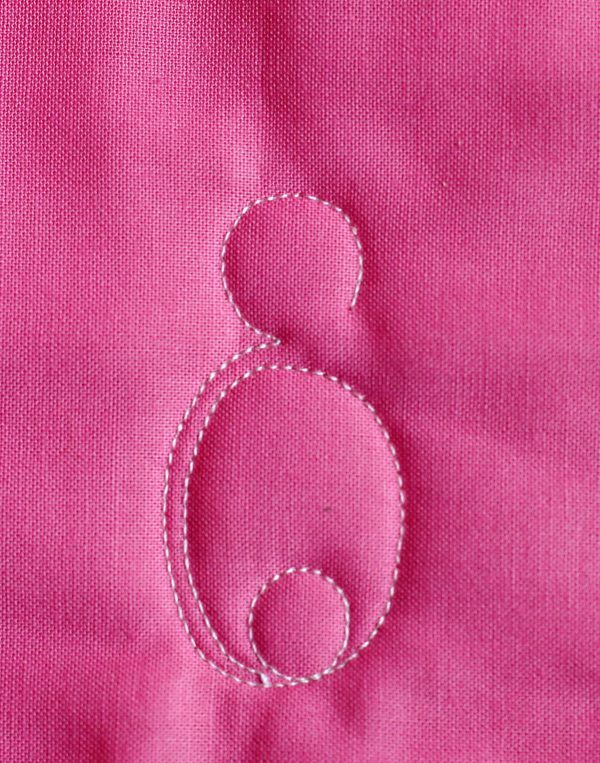 really cute…I’m through with Easter projects for this year, but I’ll save. Cute! I’ll try it now!